This Diaper Holder is for a Gosling that is hatching to about 3 to 4 weeks old. 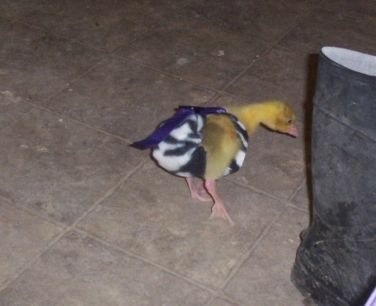 It will also work well for a duckling up to approx 8 weeks old. 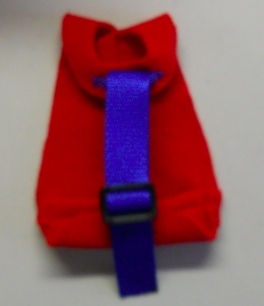 See photo for color of the item you will receive, this one is Red with Red adjusting strap. They grow so fasssssst! If it arrives and it would be a bit too big, wait a day or two (literally) and try it on your baby goose again. The Goose Diaper Holder comes to you with two Pantie Liners to get you started.